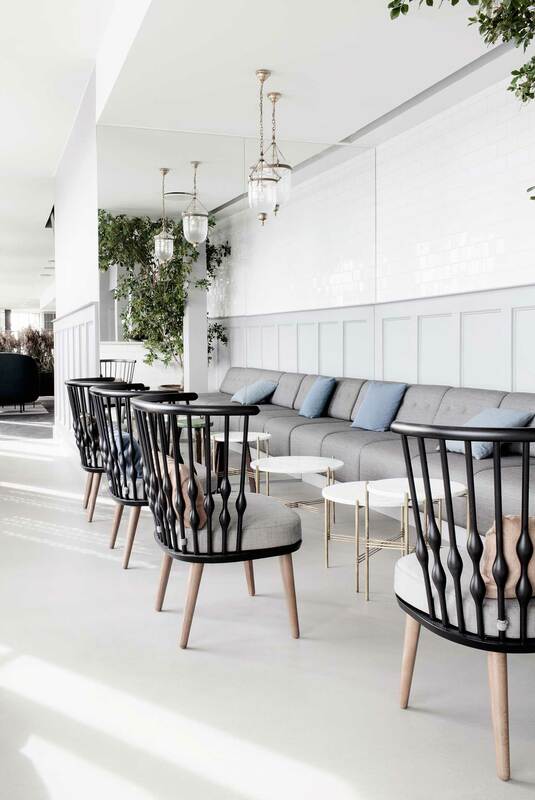 The Standard Copenhagen by GamFratesi | Yellowtrace. 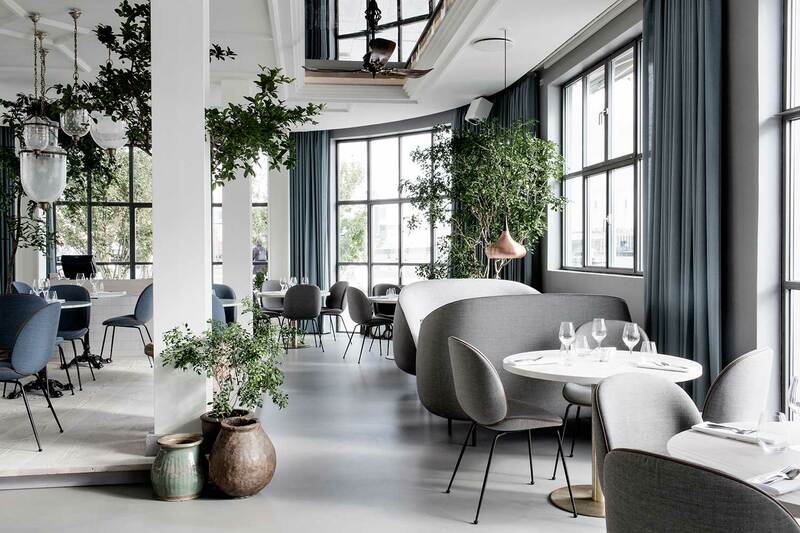 The Standard in Copenhagen is the latest venture by renowned Danish ”gastronomic entrepreneur” Claus Meyer (previously here and here), with world famous jazz musician, Niels Lan Doky. 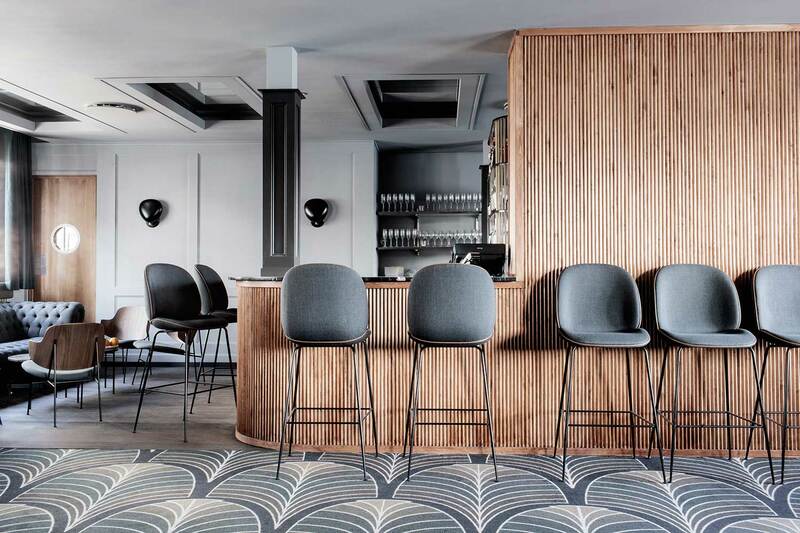 Together with the Danish-Italian design duo, GamFratesi (previously), they recently set out on a journey to transform a former custom house in into a “new cultural and gastronomic landmark” with three world-class restaurants and a jazz club – a project that sets a new standard (boom boom!) 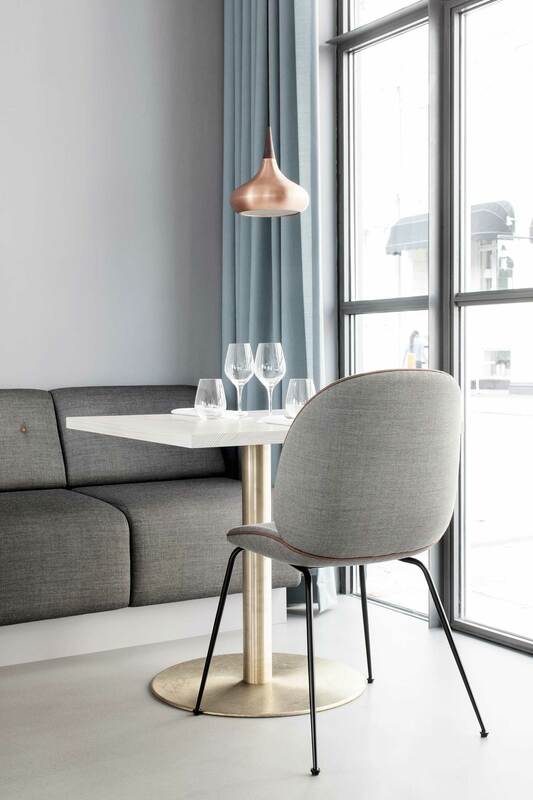 for the Copenhagen dining scene. 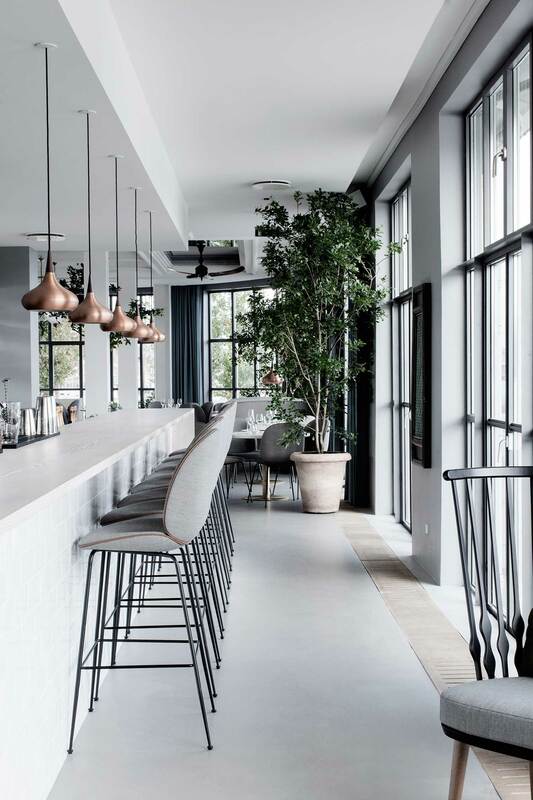 Housed in an iconic historical building that dates back to 1937, The Standard is located in central Copenhagen – right next to Nyhavn, straight across from Noma and overlooking the Royal Opera and Christianshavn. It was designed by an architect and royal buildings inspector, Kristoffer Nyrop Varming (1865-1936), who was also behind a number of other famous buildings in Copenhagen such as the Niels Bohr Institute. 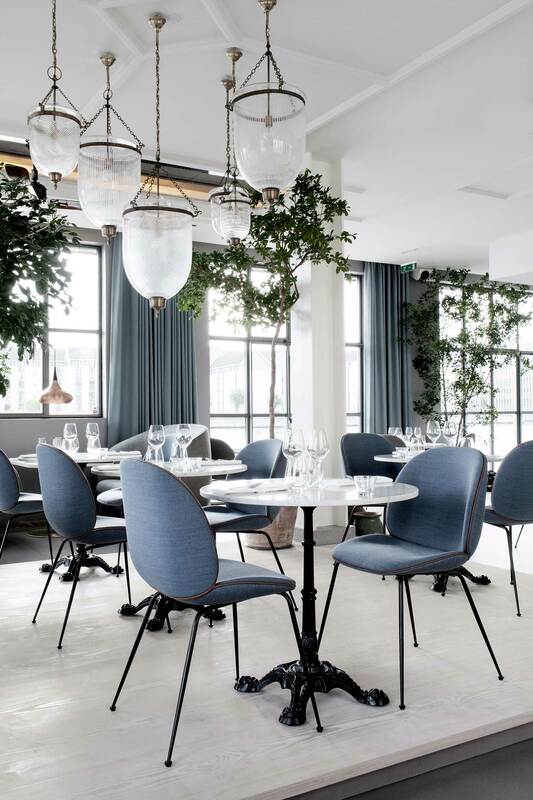 The interior of The Standard has been completely transformed as a mix of modern, understated Nordic design with subtle details and international touches. An eclectic mix of soft lines, natural light, exclusive materials, classic designs and brand new icons create a unique ambience. GamFratesi has carefully chosen everything to underline the building’s history, iconic look and vision. 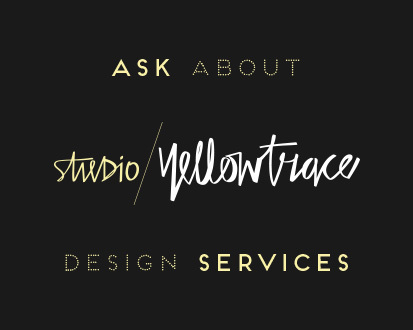 The architects great grandson, Søren Varming was commissioned to designed the graphic identity. The interior features GamFratesi’s own Beetle Chair launched by Gubi earlier this year at the Salone del Mobile. 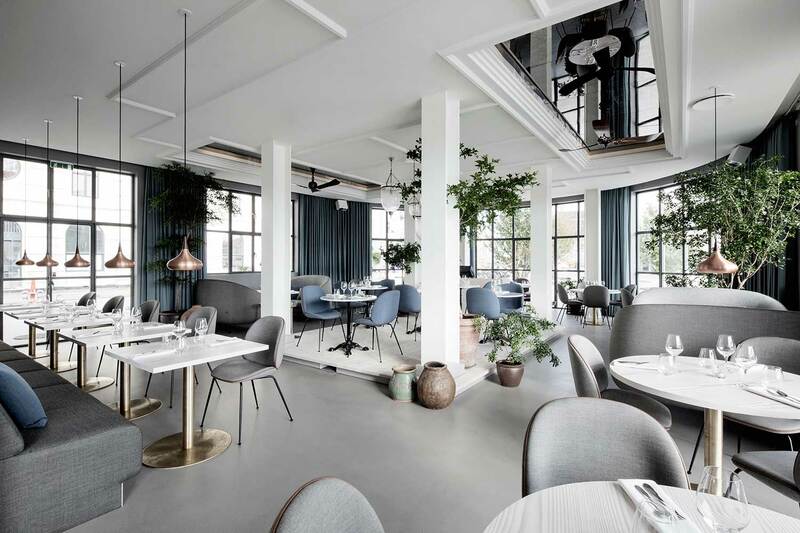 The venue boasts three world-class restaurants; Verandah – a contemporary gastronomic Indian restaurant; Almanak – a modern Danish restaurant serving informal breakfast, lunch and dinner; and Studio – an ex-Noma chef, Torsten Vildgaard’s New Nordic gourmet restaurant. 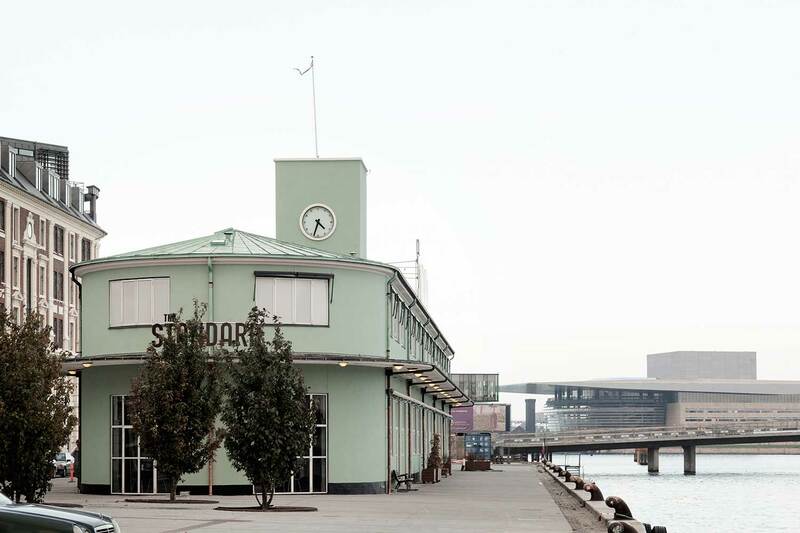 The jazz club, bearing the name of the entire project – The Standard – is a bold addition to the famous jazz scene in Copenhagen. 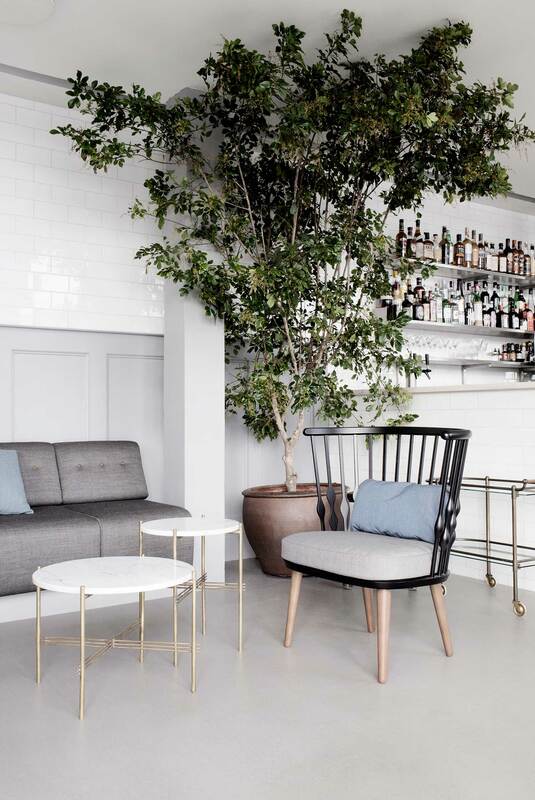 In other news, I believe this restaurant might be another example of Trees in Interiors. Boom. 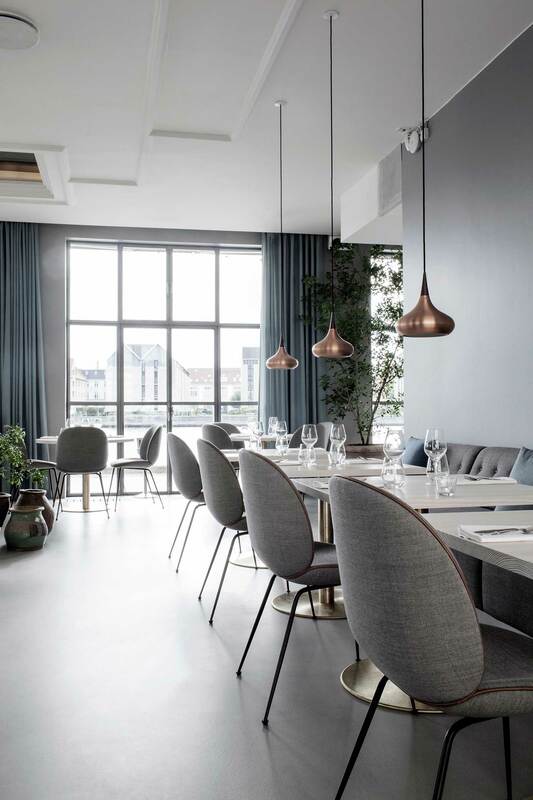 Restaurant NamNam in Copenhagen by HolmbäckNordentoft. 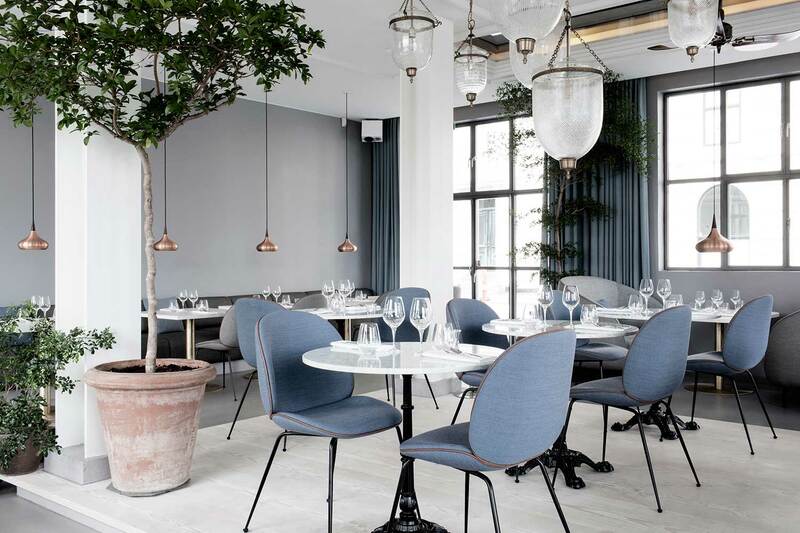 Restaurant Radio in Copenhagen by HolmbäckNordentoft. See more projects in Copenhagen on Yellowtrace. Danish Chromatism by GamFratesi at Triennale di Milano // Milan 2013. 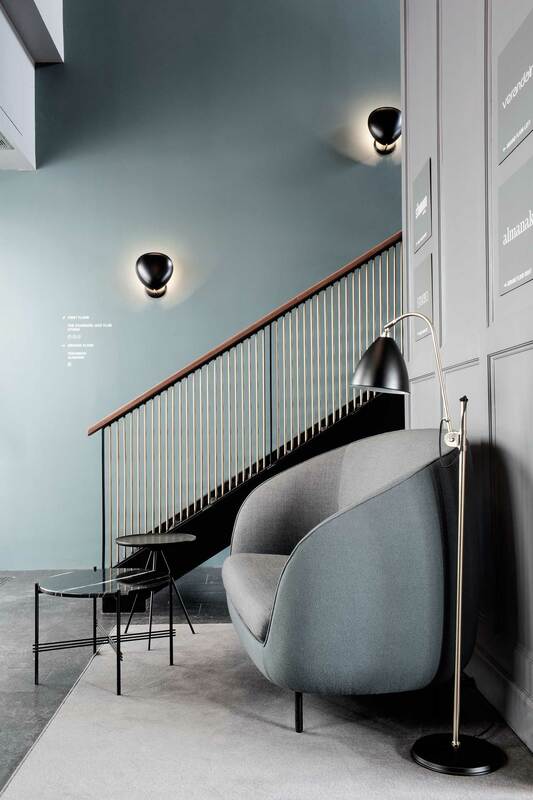 The Inaugural Aesop Berlin Store by Weiss—heiten. Are you trying to torture me on purpose? Extreme FOMO. Extreme. Hi Julia, that’s a Nub chair from Andreu World, designed by Patricia Urquiola (available at Ke-Zu). 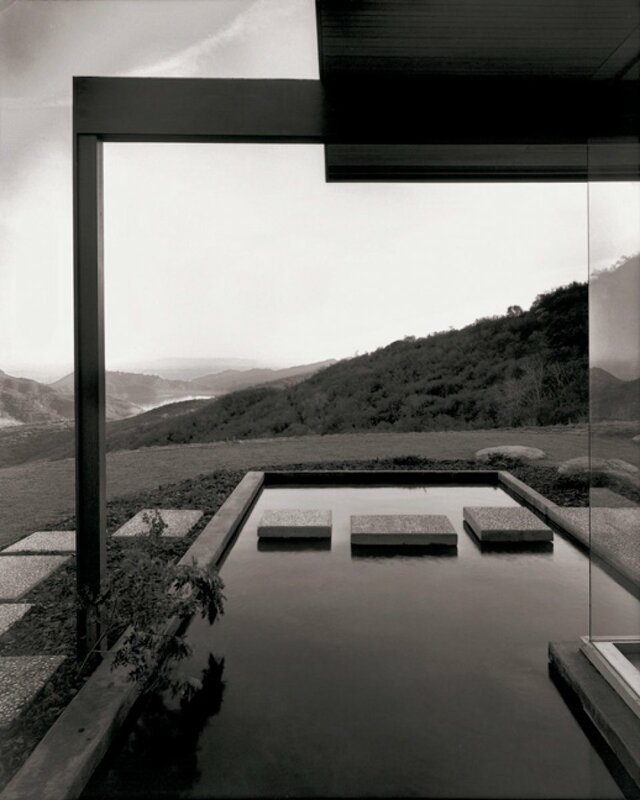 This is such a stunning place! Any idea what kind of trees those are in the interior? They’re absolutely stunning.